KHA provides a broad range of hospital-specific financial reports to help hospitals assess financial strength and the impact of various payment programs on future revenue. Comparative financial ratios and benchmarks are provided through the Financial Indicator Analysis, and the Critical Access Hospital (CAH) Finance Survey provides information tailored to CAHs. 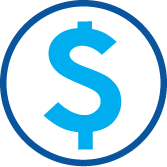 The impact of Medicare payment changes are provided in specific reports that address Inpatient Prospective Payment System (IPPS) and Outpatient Prospective Payment System (OPPS) updates, changes in the area wage index, bundled payment programs and updates to Medicare quality programs including value based purchasing, hospital-acquired conditions and readmissions. These reports are sent directly to the appropriate audience as they are published. The Financial Indicators Analysis provides all-payer comparative financial ratios/metrics for hospitals compared to various benchmark groups for twelve financial ratios. The financial ratios are calculated using standard accepted formulas, as defined by various ratings agencies. The model includes a dictionary with calculation instructions and data for each of these indicators. The source for the financial information in this model is the Healthcare Cost Report Information System (HCRIS) database provided by CMS. The CAH Finance Survey is a quarterly survey going to Kentucky CAHs on five key financial indicators. The survey data is collected electronically and a benchmarking report is produced twice annually. The report allows CAH financial leaders to compare their performance on indicators like margin, days in accounts receivable and days cash on hand with their Kentucky CAH peers. The Value-Based Purchasing (VBP) Impact Analysis is intended to provide hospitals with a preview of the potential impact of the Medicare inpatient hospital VBP Program based on publicly available data and program rules established by the Centers for Medicare and Medicaid Services (CMS). The reports included in this analysis estimate VBP scores, impacts, and trends and provide full detail on how the points and scores for each VBP measure and domain are calculated. The Performance Scorecard report now also breaks down estimated impacts by domain and by measure. This analysis evaluates hospital performance on the Medicare HAC measures recognized by the Centers for Medicare and Medicaid Services (CMS) as preventable HACs and adopted for the Hospital Inpatient Quality Reporting Program. The Readmissions Measure Trends and Reduction Program Analysis is intended to provide detailed performance information on the readmissions measures that are currently evaluated or will be evaluated under the Hospital Readmissions Reduction Program. The analysis provides hospitals with a comparative review, over time, of the 30-day readmission rates calculated by the Centers for Medicare and Medicaid Services (CMS) and made public on the Hospital Compare website along with an in-depth review of actual performance and potential future exposure from changes to the program. The Medicare Hospital Wage Index Data Analysis is intended to provide hospitals with a comparative review of the wage data that will be used to develop the Medicare hospital wage index. Reports of preliminary data are available in February for hospitals to review for identification of corrections prior to the release of final data. The Medicare Hospital Occupational Mix Data Analysis is intended to provide hospitals with a comparative review of the occupational mix data that will be used to develop the Medicare hospital wage index. Reports of preliminary data are provided for hospitals to review for identification of corrections prior to the release of final data. These reports are intended to show providers how specific episodic or bundled payment programs will affect Medicare payment. Reports compare hospital spending and service utilization to regional target prices and service usage. These reports, produced annually after the proposed and final rules are issued, are intended to show providers how Medicare inpatient fee-for-service (FFS) payments will change on the policies adopted in the rule. The analysis compares the year-over-year change in operating, capital and uncompensated care IPPS payments, and includes breakout sections that provide detailed insight into specific policies that influence IPPS payment changes. These reports, produced annually after the proposed and final rules are intended to show providers how Medicare outpatient fee-for-service (FFS) payments will change based on the policies set forth in these rules. 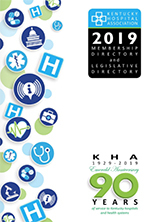 KHA provides quarterly and annual enrollment and financial data for each HMO doing business in Kentucky, including per member per month statistics on premiums, costs and income before taxes. The Medicaid Managed Care Organization (MCO) Performance Report provides comparative MCO data on costs, profits, prior authorization denial rates and ratings on HEDIS indicators. This report compiles data from public sources to provide comparative plan data on Medicaid members, earned premiums, incurred costs, MCO profits, prior authorization denial rate trends and MCO ratings on HEDIS indicators. This report provides comparative data from quarterly and annual statements filed by Health Maintenance Organizations (HMOs) doing business in Kentucky. Data on plan enrollment, Kentucky market share, premium income, health care costs incurred, administrative costs, net income, liquidity and per member per month statistics are provided.